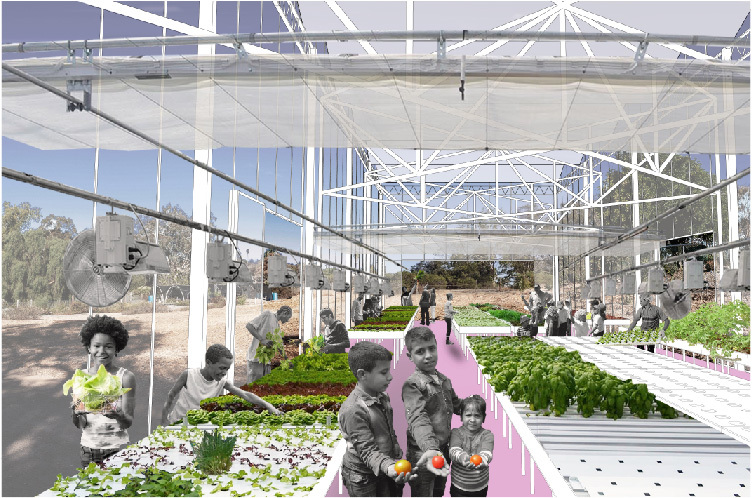 This environment is designed to introduce students to critical issues of food insecurity, neighborhood-oriented nutrition and local urban agricultural production to support community-based economy and well-being. 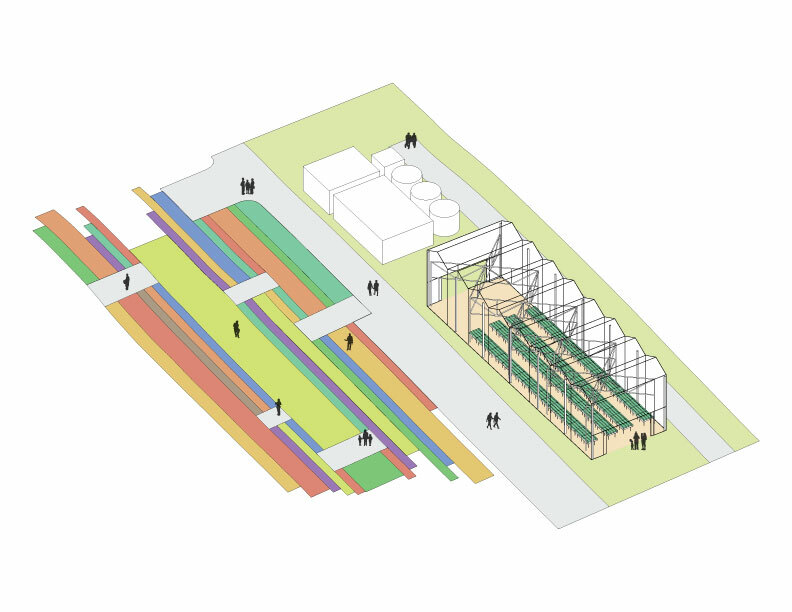 It is composed of two main pedagogical and productive garden exhibits, a Conservation Garden and a small greenhouse structure, housing a Aquaponic Exhibit. Conservation and Aquaponic Gardens (we are producing new) This exhibit includes an outdoor planting environment in the shape of a conservation garden – orchard for students to test the interfaces of planting, food production and water conservation; and an indoor aquaponic education exhibit to illustrate the symbiotic relationship between artificial and natural light, water-plant cultivation, fish, waste and crop cycles. The Aquaponics exhibit will be designed incorporating indigenous agricultural practices such as the Aztec-inspired floating-orchards Chinampas developed in ancient Central Mexico.